If a scientist conducts research, and never tells anyone, did they really do it? Scientists communicate with one another in very specific ways: peer-reviewed journal articles and technical presentations. However, most journal articles largely go unread and conference audiences can be limited..
Public trust in science is decreasing, so it’s our job to help them understand the importance of science to society! How to do it? We must communicate our research through media that is engaging and interesting. Technical communication is baked into the curricula of university science programs. We train students to write peer-reviewed journal articles and give conference presentations . Meanwhile, in the real world, students are communicating with memes, snaps, and videos that are read far more broadly than that capstone research project they spent a year on. Lots of scientists are doing a great job of communicating their work with engaging media. But let’s face it–those brilliant few are either naturally-gifted or self-taught. This leaves me asking, is there a place for #SciComm in the natural resources curriculum? With all the talk of digital literacy in the K-12 classroom, you can bet it’s on its way. With that in mind, I tried something different this semester. I teach a grad-level quantitative ecology course. It’s a pretty typical course you’ll find in most natural resources programs– linear modeling, program R, lots of writing. You know the drill. Long story short, I challenged grad students to communicate their work as either a page, post, or video. In the past, the technology learning curve has been the barrier. But now, Adobe Spark has an excellent set of tools that require precisely zero knowledge of creating sites or videos. Just sign up, sign in, and get started. All in all, I’m pretty happy with the way the projects turned out. Students got a different kind of outlet to communicate their work, and hopefully some experience in creating digital media. These tools are an easy way to develop nice-looking media products communicating our science, so let’s replace those recipe videos in social media feeds with science! 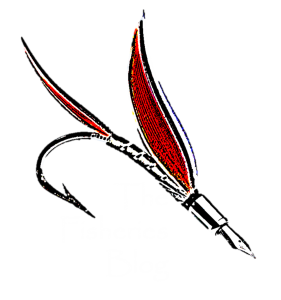 Next Post World Fish Migration Day – Geaux Fish!